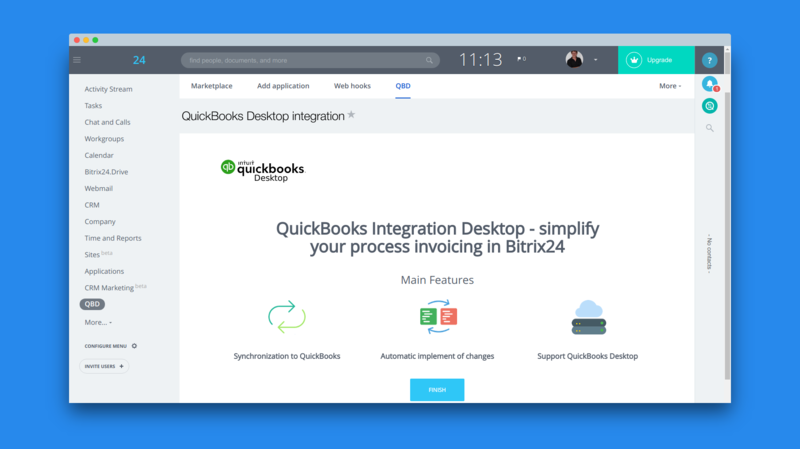 Last year we've released an integration app that connects Bitrix24 with the cloud QuickBooks service. Many of you have requested the same type of integration for their desktop QuickbBooks accounts. We are happy to report that Bitrix24 is now capable of doing that as well. Please use this app to synchronize your Bitrix24 accounts with the desktop Quickbooks editions.